Hurricane Chris is no longer a hurricane, it's not even tropical. 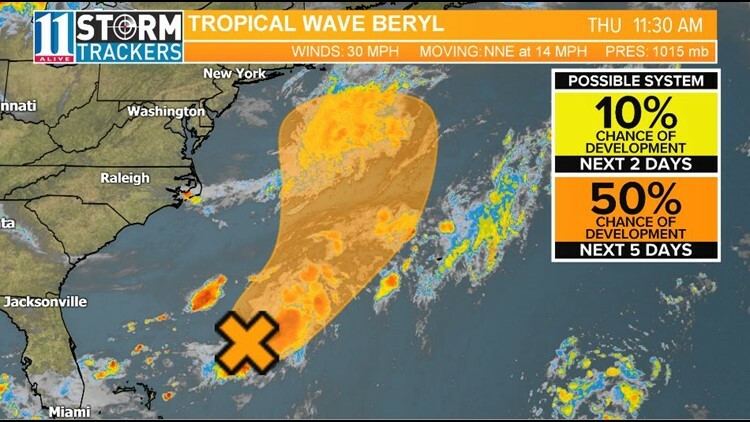 The remnants of Beryl still have a good chance of turning into a tropical cyclone again. 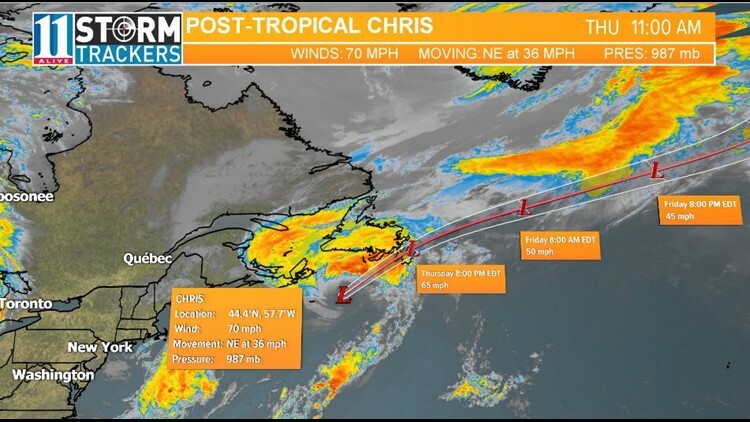 Chris has changed form to a post-tropical storm or called an extratropical cyclone with max winds of 70 mph. It is moving quickly to the northeast at 36 mph. An extratropical cyclone is a storm that no longer feeds from the warm moist tropical air. The storm looks noticeably different as the satellite imagery reveals a comma-shaped storm rather than the round storm as seen just Wednesday. 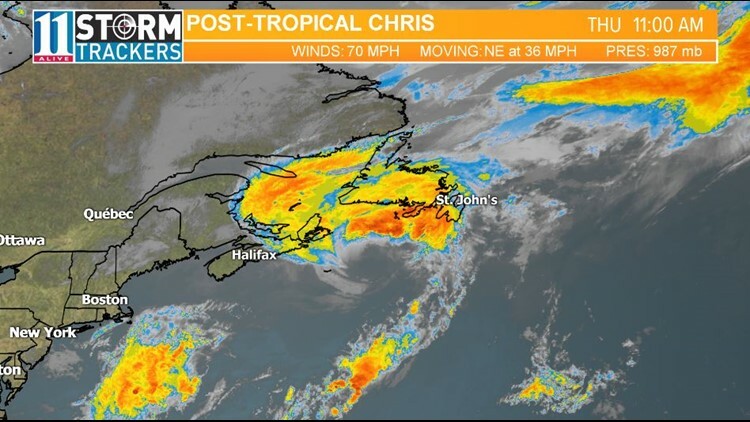 The center of Chris will pass over or near extreme southeastern Newfoundland later Thursday night. Beryl dissipated into an area of showers and storms Sunday and now resides between the Bahamas and Bermuda. The former hurricane is now just a tropical wave/area of low pressure with max sustained winds of 30 mph moving to the NNE at 14 mph. But don't let your guard down on this storm. It is possible that it could regenerate when it moves into an area more conducive for tropical development. The National Hurricane Center is forecasting a 10% chance of regenerating in the next 48 hours and a 50% chance of re-development in the next 5 days. In their own forecasts released in May, the National Hurricane Center and Colorado State University had predicted a normal to above average hurricane season. Due to changing environmental conditions in the main development region for tropical storms, CSU has since lowered their forecast to a below average number of storms. NHC has not revised their forecast.